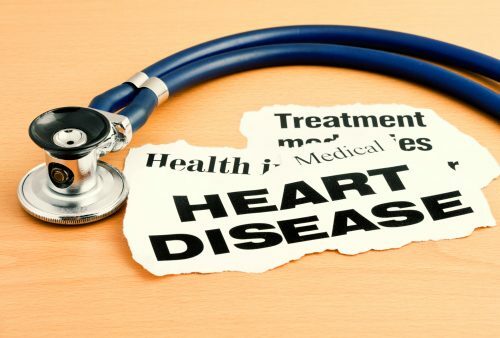 Did you know that only 5 percent of Americans are estimated to be in the ‘low risk’ category for the development of the type of artery and heart problems that lead to heart attack and stroke? How about the fact that strokes are a leading cause of death in the United States and 80 percent of strokes are preventable? Although these are some worrisome statistics, the latter fact is great news because it means that you have the power to reduce your stroke risk and thereby increase your life expectancy. Below is an easy recipe for stroke prevention that has the added benefit of also reducing your risk for heart problems. Stroke Prevention Step #1 – Throw Out Those Cigarettes! When it comes to stroke prevention, quitting smoking and avoiding secondhand smoke should be your top priority. This is so important because smoking doubles your risk for having a stroke and substantially increases your risk for fatal heart problems such as coronary heart disease. The good news is that it’s never too late to quit. According to The National Stroke Association, a person’s stroke risk is greatly reduced no matter how old they are when they decide to quit smoking. Although there is some evidence that moderate alcohol consumption can lower heart disease and stroke risk, any potential benefits are negated when you drink too much. Males should not drink more than 3 alcoholic beverages per day and females should drink no more than 2. Any more than that and you increase your heart attack and stroke risk. Stress can increase blood pressure and cholesterol levels – both of which increase stroke risk. Even more problematic is the fact that stress can make you more prone to developing atherosclerosis, (a condition characterized by a narrowing of the arteries), and approximately 80 percent of all strokes are caused by atherosclerosis. Some good ways to reduce stress include sharing your feelings, being more assertive, learning to say no, taking time to laugh, giving yourself some alone time every day, treating yourself to vacations, keeping a journal, taking a bath, meditating, exercising, and doing something that makes you laugh. Exercise is an essential part of the stroke prevention recipe because it helps to reduce high blood pressure and cholesterol levels, to prevent diabetes, and to reduce stress – all of which are risk factors for heart attack and stroke. Perhaps even more important is the fact that exercise helps you to obtain and/or maintain a healthy body weight, which vastly reduces your stroke risk. Consuming a healthy diet is arguably the most important thing you can do when it comes to stroke prevention. A healthy diet reduces the same heart attack and stroke risk factors as exercising, but its effects even are more profound. To reduce your stroke risk, start by eliminating or vastly reducing your intake of refined and packaged foods, and base you diet on whole, unprocessed foods instead. Related Reading: Is stroke treatment more important than prevention?